Can you believe that Thanksgiving has already come and gone?! Seriously! Time is flying lately, and I think that it’s in large part because we’re leaving the country in less than two weeks (wait…what?!) In the spirit of Black Friday being yesterday, Ryan and I decided to change up our mindset a little. Instead of just adding more stuff to our lives, we wanted to eliminate some of the excesses. 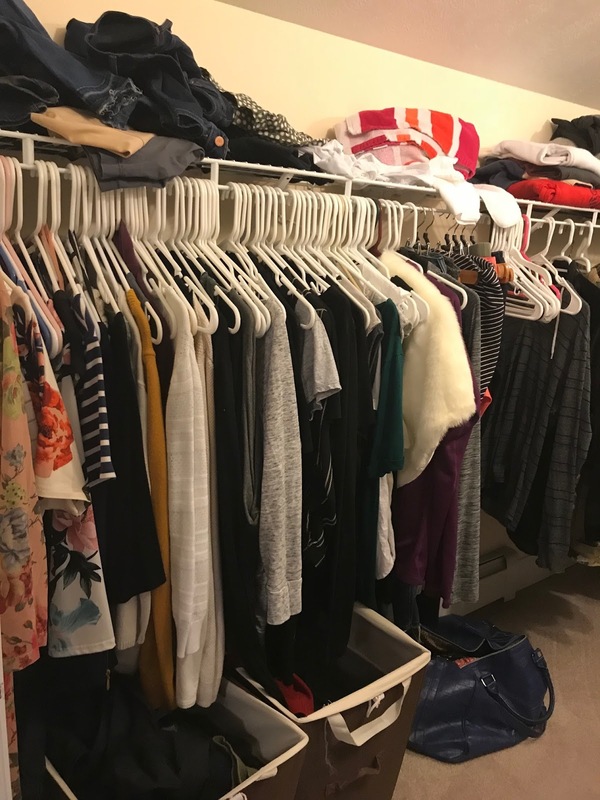 One of the biggest pain points in our home is our closet. 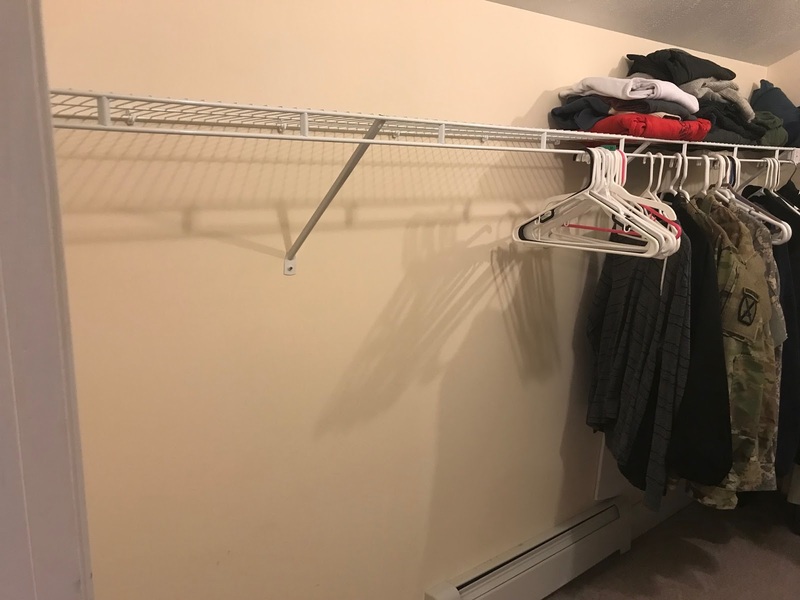 We have a walk-in closet, thankfully, but the layout leaves something to be desired, and we have/had a lot of clothes. We decided that we would each tackle our wardrobe and really eliminate the excess. You may remember I read Spark Joy earlier this year, which details the KonMari Method. I decided to implement those changes in our kitchen, and the results were amazing. So, we decided that it was time to spark some joy in our closet, too. We don’t want to totally redo the footprint because we’re not staying here long term, but we wanted to make it more bearable and functional. Here’s the thing. I love fashion, but I don’t have the most exciting fashion sense. I love classics. I’m a big fan of black, greys, and white – I know – a little bland, but it works together for the most part. 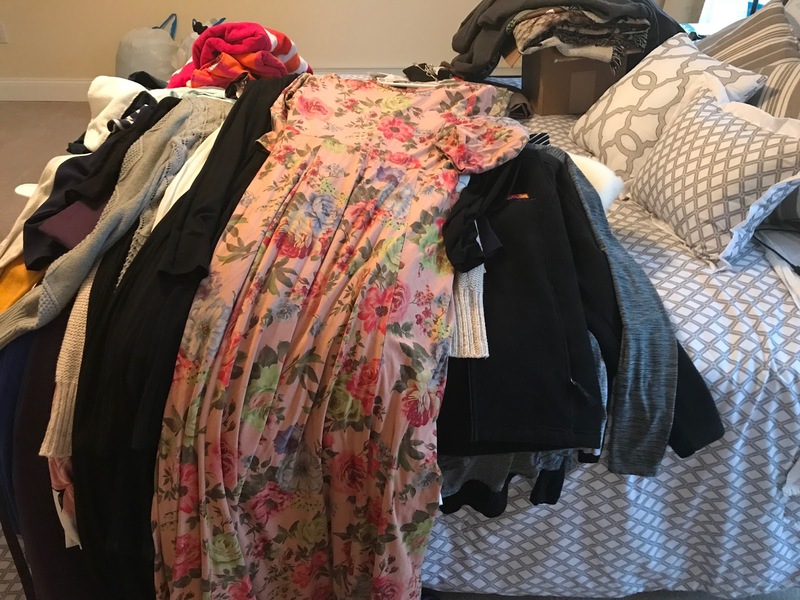 The problem is that I have a lot of other pieces in there from the few moments I’ve tried to step outside what I really love, and they started to bog down the entire wardrobe (and closet). 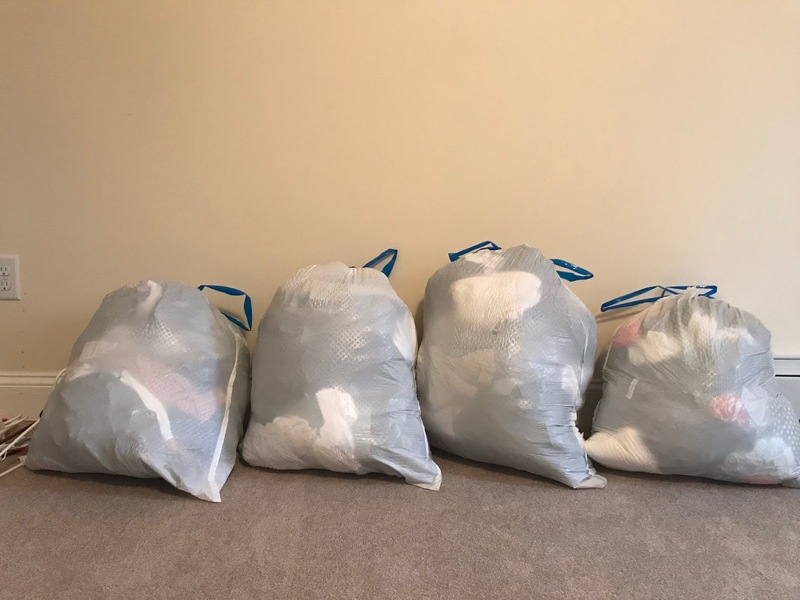 So, I decided to do what the KonMari Method says – take everything out and start from scratch. You’ll have to pardon how messy everything looks, but that’s how the process goes. It looks worse before it looks better. Once everything was out of the closet, I looked at each piece and honestly acknowledged how often I wear it, and how often it I truly thought I would wear it going forward. I have a lot of quality clothes from Banana Republic, J Brand Jeans, Chinese Laundry, and even J Crew dresses…but most of them really haven’t been worn lately, or ever, in some cases. So, I had to put aside those errant thoughts of “well, maybe I’ll wear them someday,” and honestly put them in the pile to donate. I’d love to try and sell some of it, but ’tis the season to give, too, so I want to live in that spirit. It took about an hour and a half of naptime to really weed everything out, clean things up, and hang things in order. 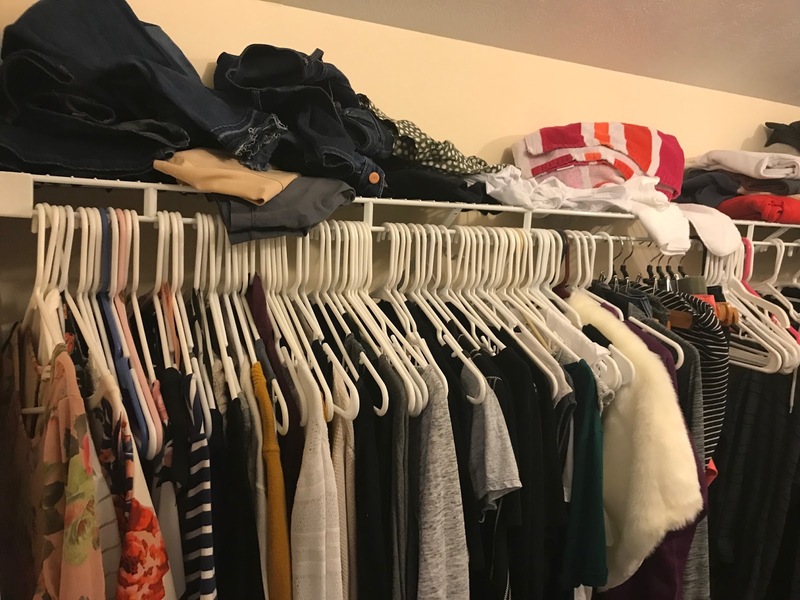 I wrote an article the other day about how to declutter your closet, and I used some of those tips here, organizing my clothes by sleeve length, spacing things out, etc. The end result was insanely awesome. Between the two of us, Ryan and I filled up for large trash bags of clothing and shoes to donate. 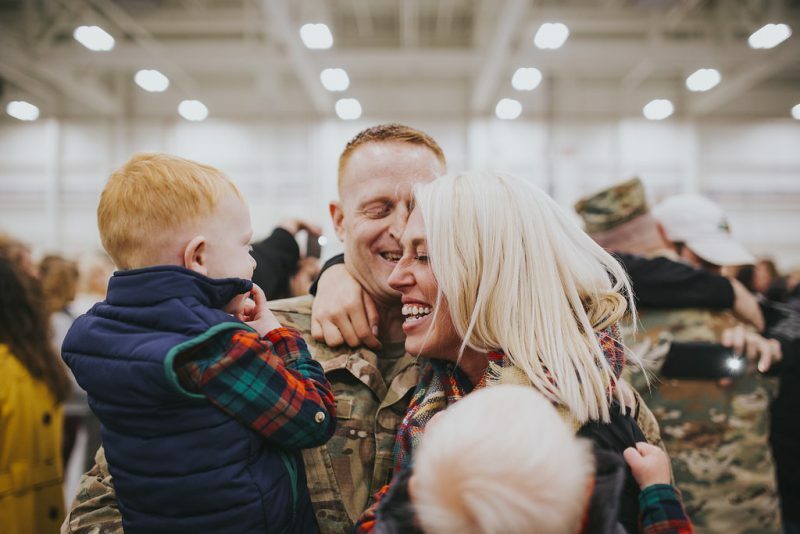 Sure, some of these were pricey items, but it’s less about the money and far more about the spirit of giving. Plus, you know that age-old adage of having a closet full of clothes and nothing to wear? Now I can simply open my closet and see exactly what I have. They’re pieces that mix and match well, and now I know where I can spend money appropriately towards my wardrobe. And, with all the great sales going on right now, it’s the perfect time to revamp things a little bit! 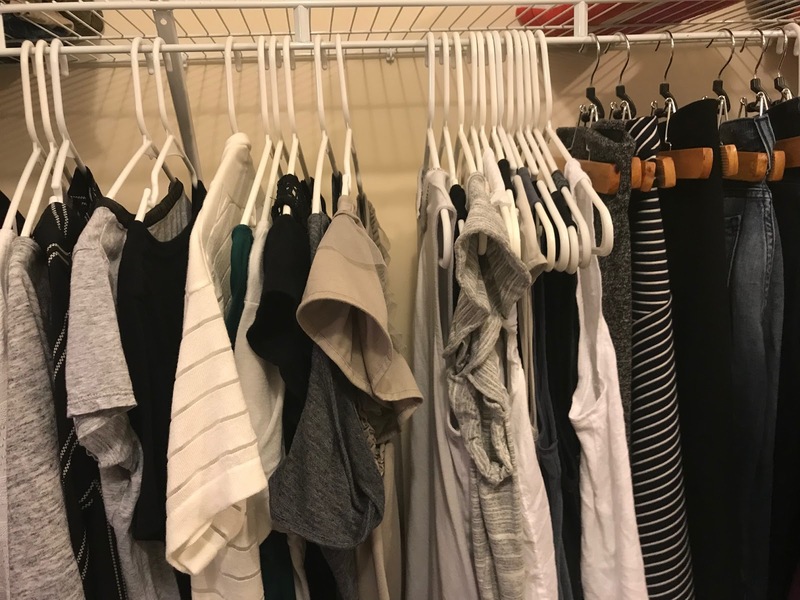 Have any of you tried the KonMari Method, or do you have a capsule wardrobe? I’d love to hear your tips and tricks!